When I was 11, I had some really good friends. Our girl “gang” consisted of four shorties and two tall-ies. Brenda Blench, Bridget Bauristhene, Deidre McGregor and I were the shorties. Colleen Sutton and Karin Garcin were the tall-ies. There were other friends, but we were tight. We fought each other and then fought for each other. We all met in Class 1 at Woodlands Infants School. Holidays were spent by the pool and in the sun. We would cover ourselves with cooking oil and when we felt we weren’t brown enough, someone suggested that we lie on tin foil. Someone (maybe it was that same someone) had the brilliant idea of cutting band-aids into the initials of our boyfriend/girlfriend. After a long day in the sun, the plaster would come off and there were the very white initials of the one we loved. By the next weekend, if we didn’t love them anymore, we would just tan over it. Wilf organised “River Boat Shuffles” on the Durban harbour. Two ferries were filled with jazz fans and a jazz band was set up on each one. We danced for hours and then met in the middle for a “Battle of the Bands”. That was the first time I saw Wilf slightly tipsy. He was in his element. Parties were mainly for dancing, practising our kissing and having fun. 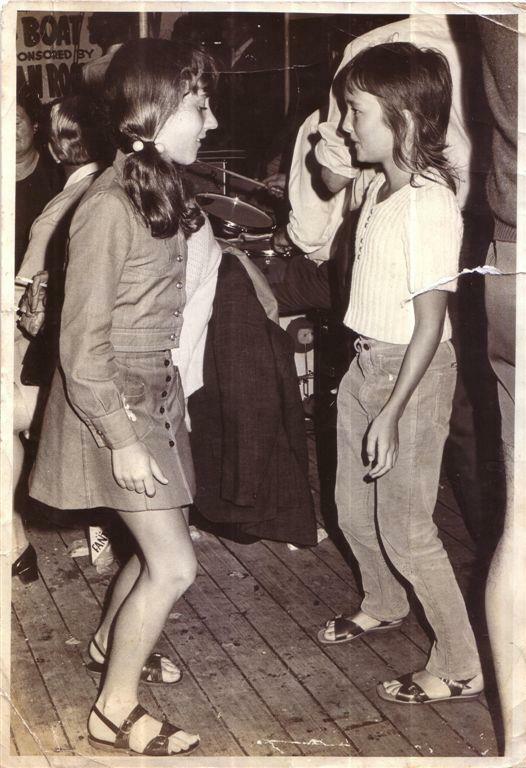 Brenda Blench and I were the “dancing queens”. We created dances and then introduced them at the next party. We would walk in a big group of girls and boys from Woodlands to Montclair, Yellowwood Park and wherever else there was a party. Dave and I had issues and it really came to a head at the party held at the Murray’s house in Nagle Square. He got fed up with me going out with his friends and I got fed up with him flirting with mine. He started pushing me around and got me in a grip I couldn’t get out of. I head butted him and gave him a bloody nose and that was the end of that. The fight I mean. We still stole each other’s friends. Brenda was my best friend. She was a red-head and short like me. Her parents were heavy drinkers and loved the horses. Brenda told me her mom had lost 7 babies. Six of them were boys. Something about her mother’s blood and boys. Her sister Rosemary was much older and lived far away. Every now and again she would come and rescue Brenda from the roughness of her life. We spent a lot of time at her house because it was always flowing with soft drinks and nice food. After a bad drinking bout, her dad would shout “Brenda!” and she would go in and clean him up. My heart hurt for her but she was so brave. She had an uncle called Uncle Bill who lived with them. He was sweet but had very bad eating habits. One day Brenda and I were kicking each other under the table and giggling at the way he was messing and gobbling his food. When we looked under the table, we realised that we had both been kicking Uncle Bill. During the holidays we would listen to music and dance any time of the day. Her mom taught us various card games in case we ever wanted to make more money than our careers would bring in. I also learnt a lot about the horses. It was during those days that I made a decision that alcohol was never going to be a part of my life. It cured me forever.